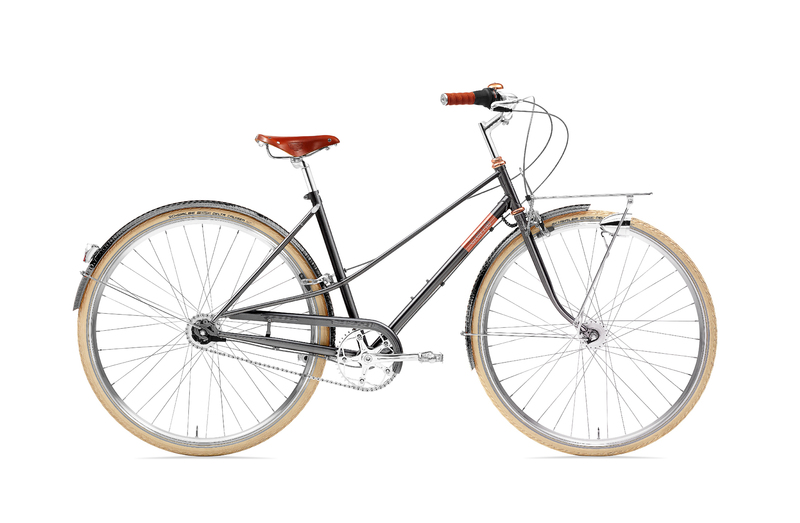 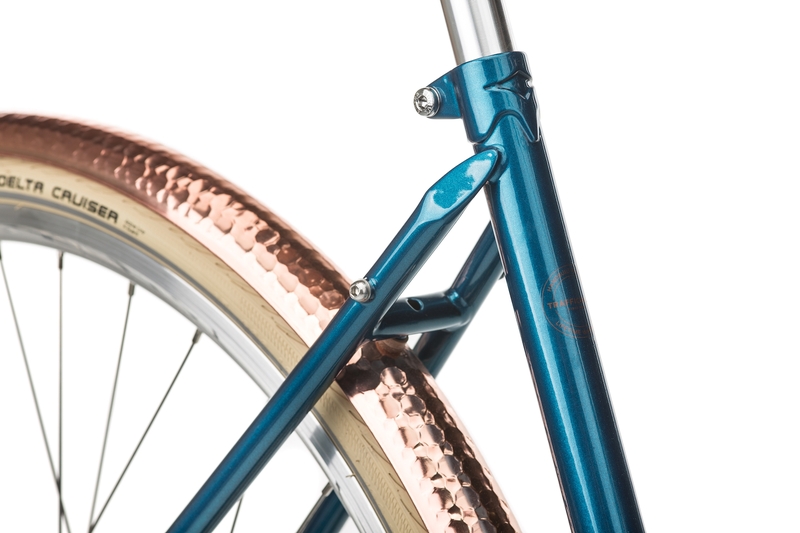 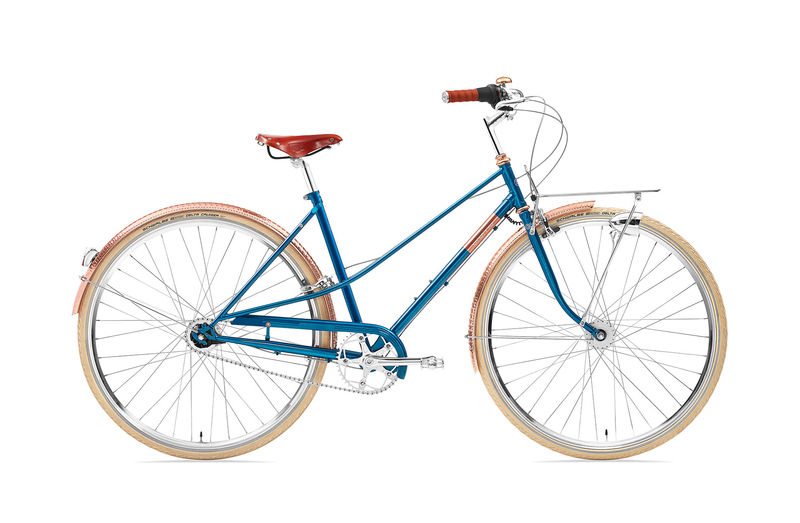 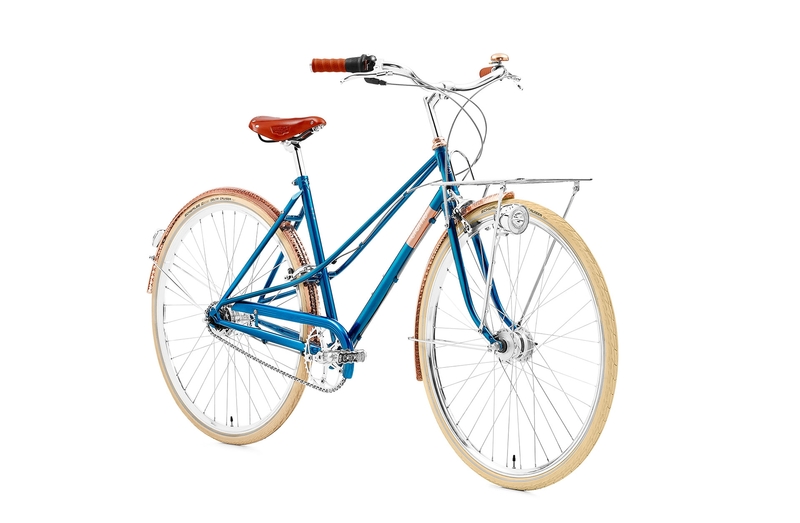 The ladies' Caferacer Doppio bike features a lugged steel frame with a traditional “mixte” shape with the signature double top tube. 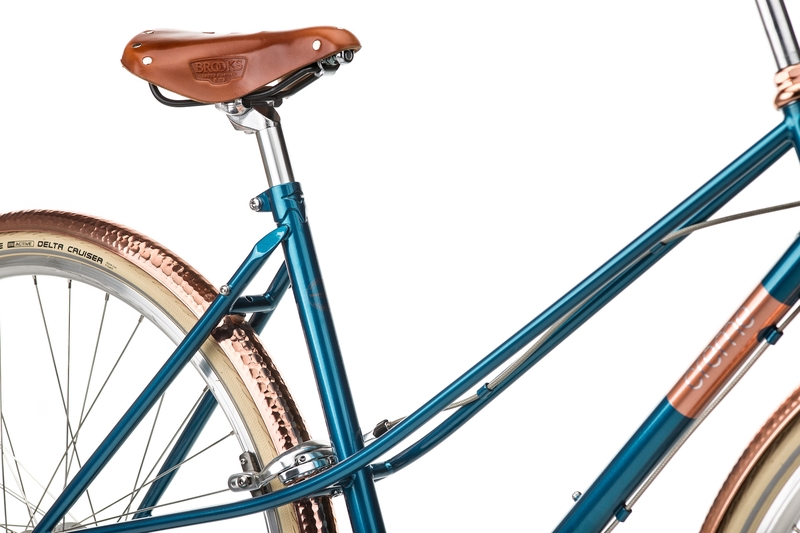 An original Brooks leather saddle ensures years of comfortable riding and a maintenance - free 7 speed internal gear hub will make travelling easy in any kind of terrain. 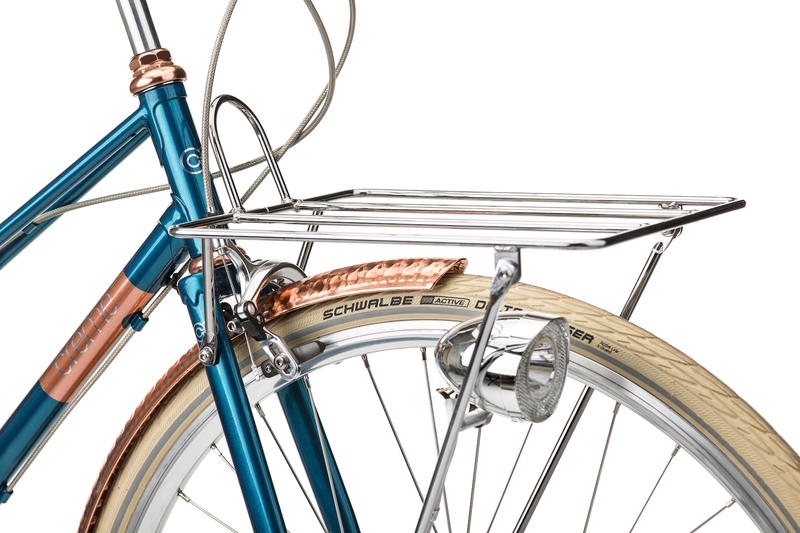 The unique front rack is very practical - you can keep your eyes on your precious bag at all times. 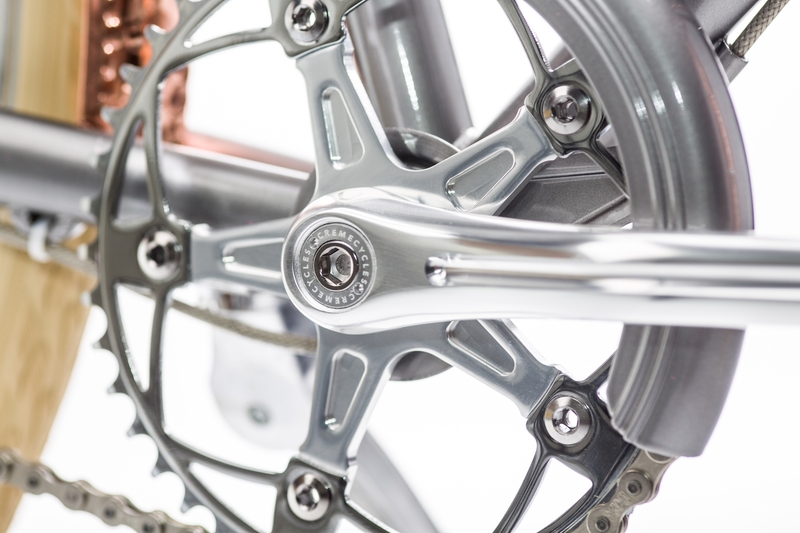 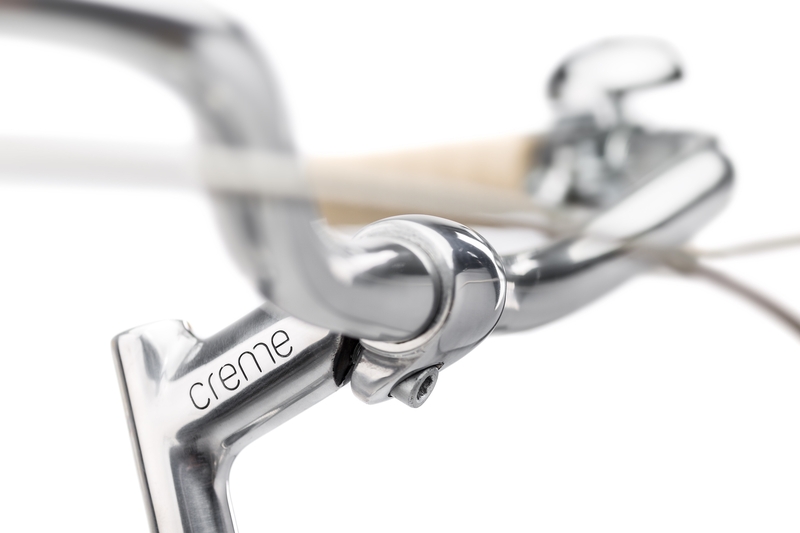 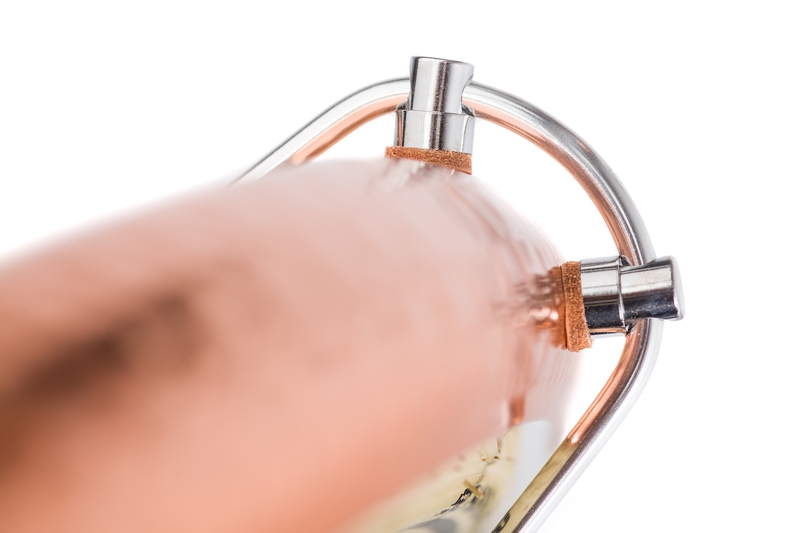 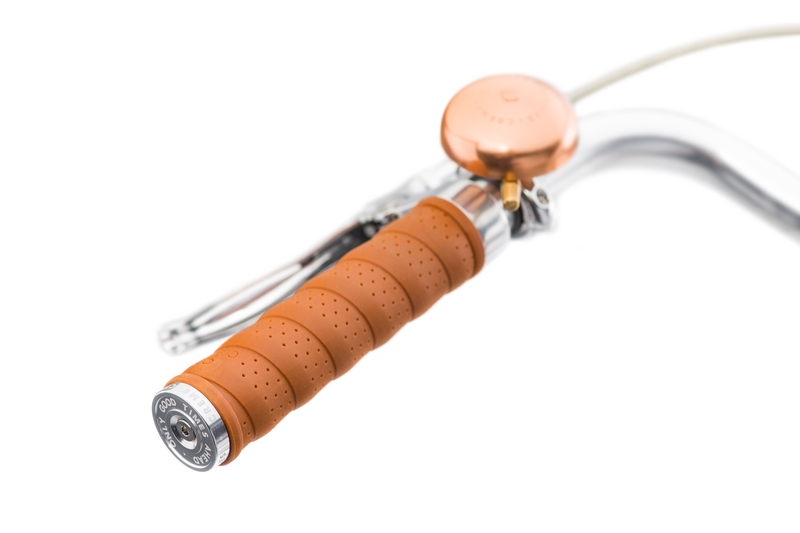 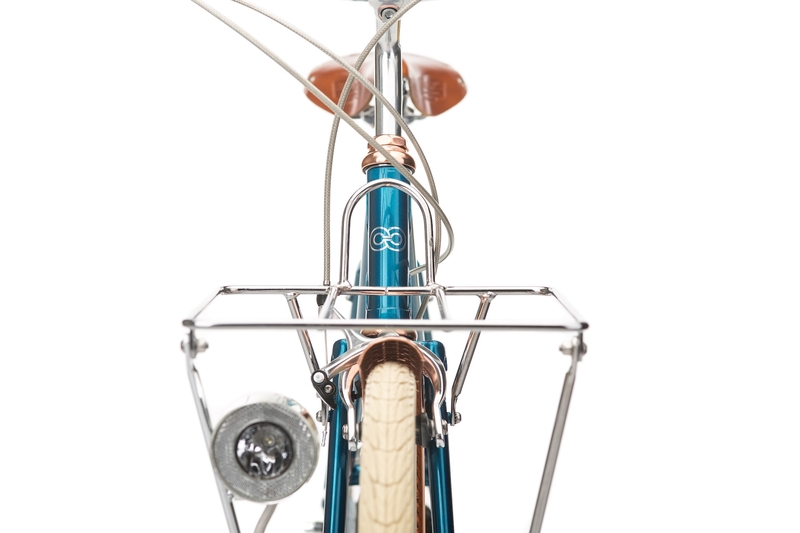 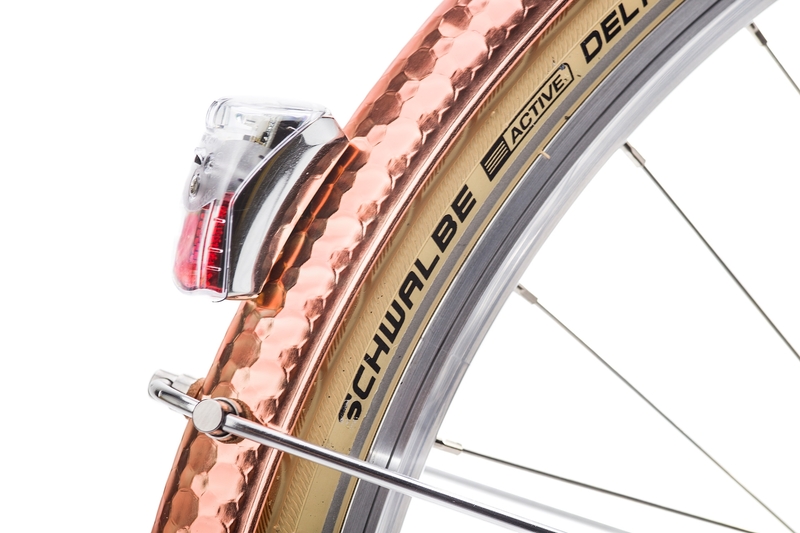 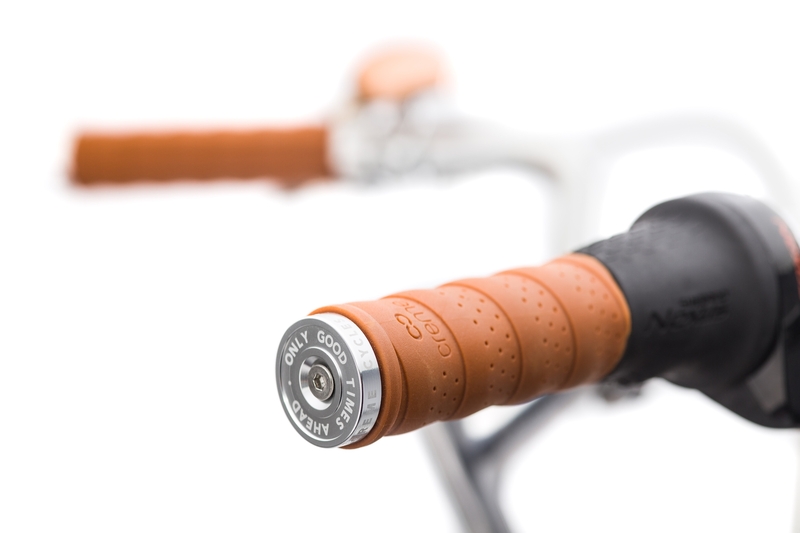 The bicycle is equipped with high-end LED dynamo powered front and rear lights.